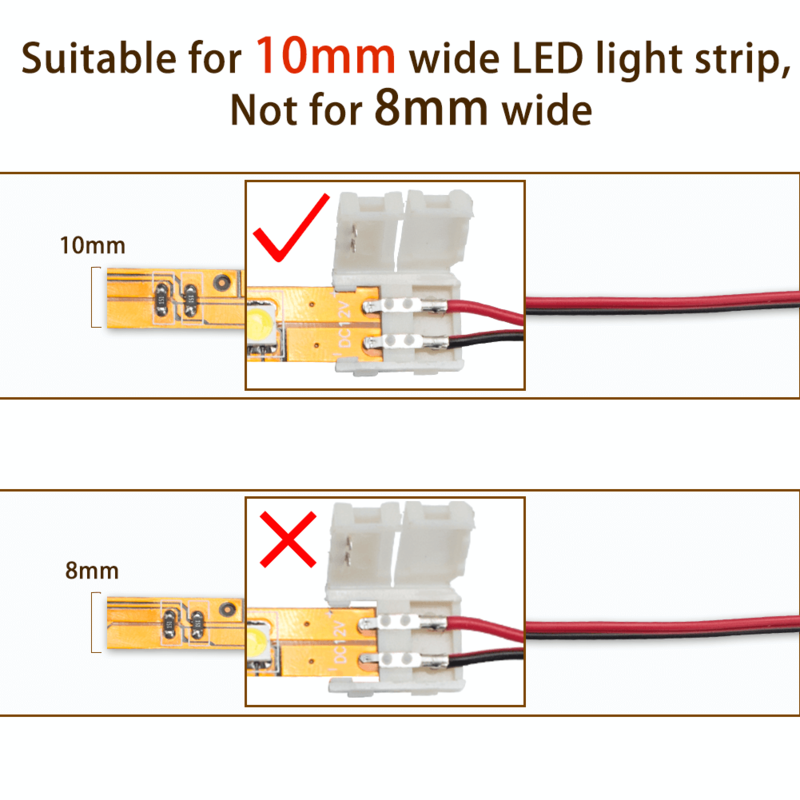 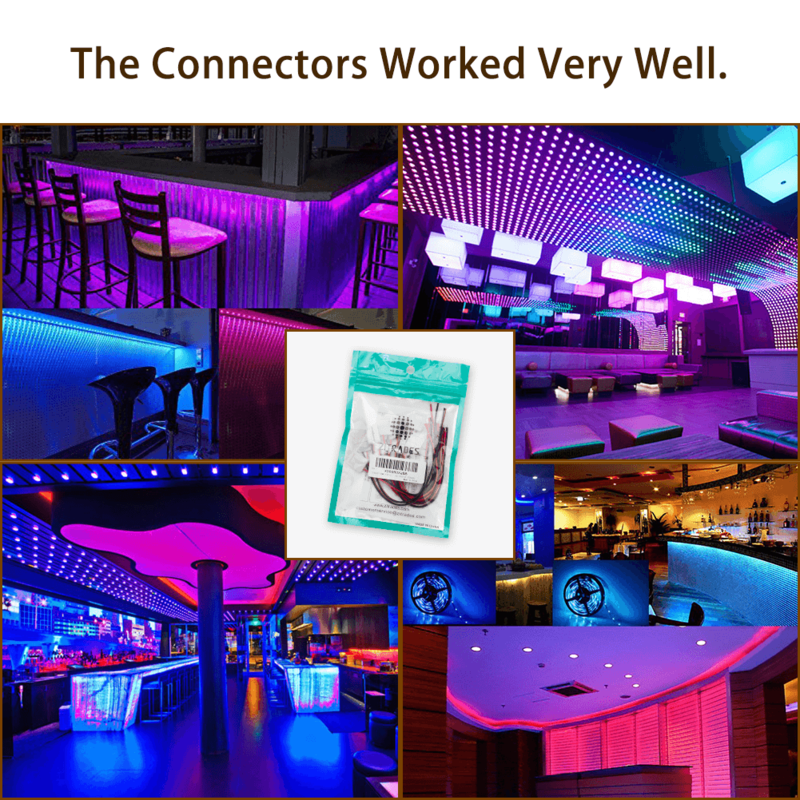 This is an extremely easy-to-use connector for single color LED strip light. 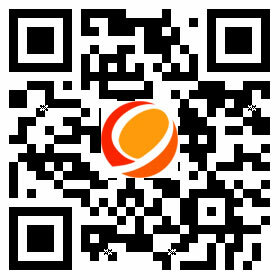 Even not professional, you can easily handle it. 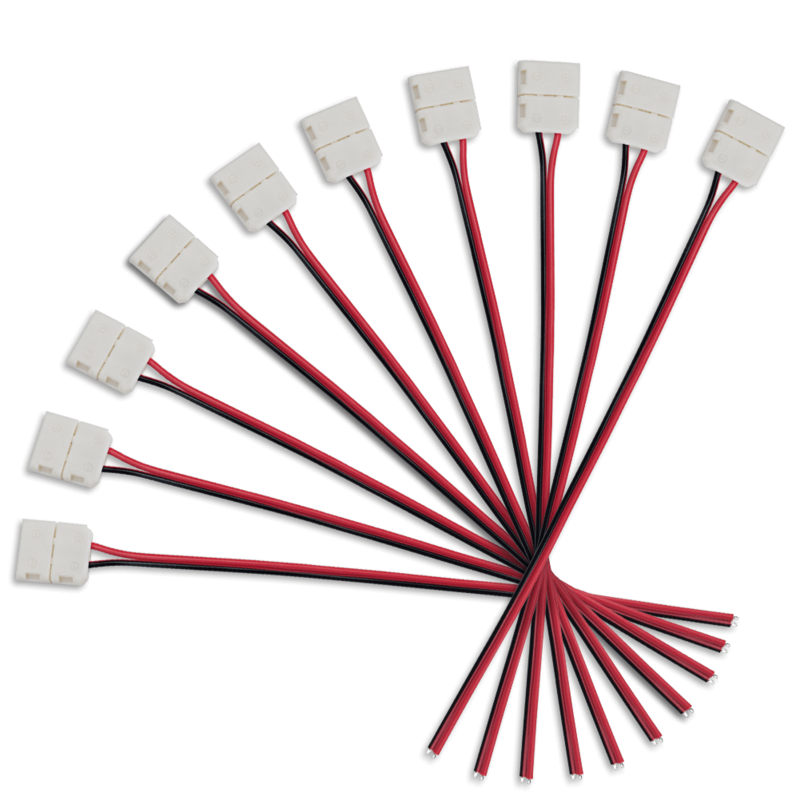 LED strip connectors for a variety of conventional indoor LED Strip. 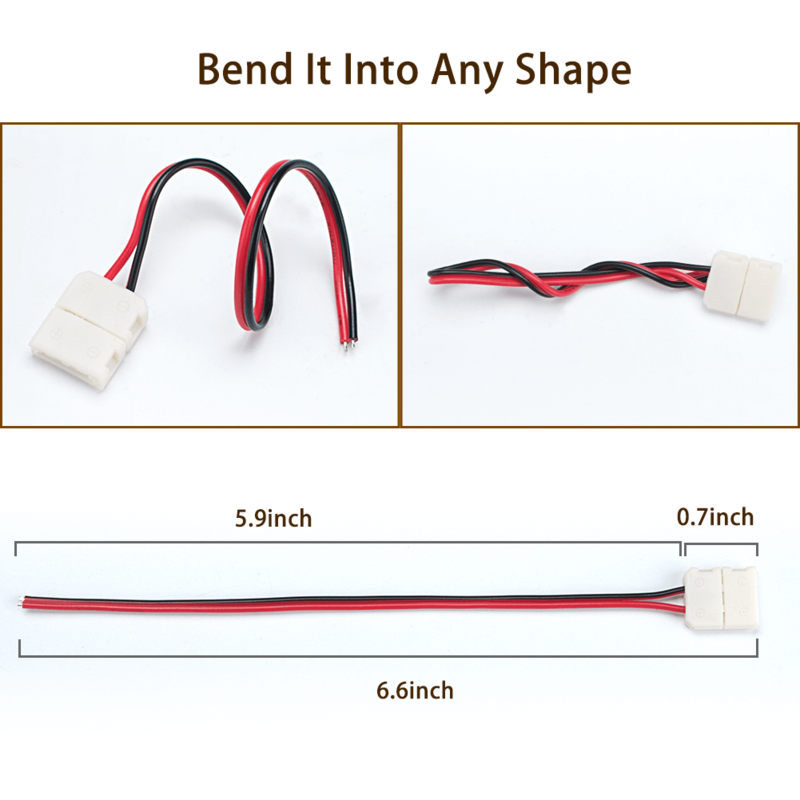 Installation quick, safe and easy to use. 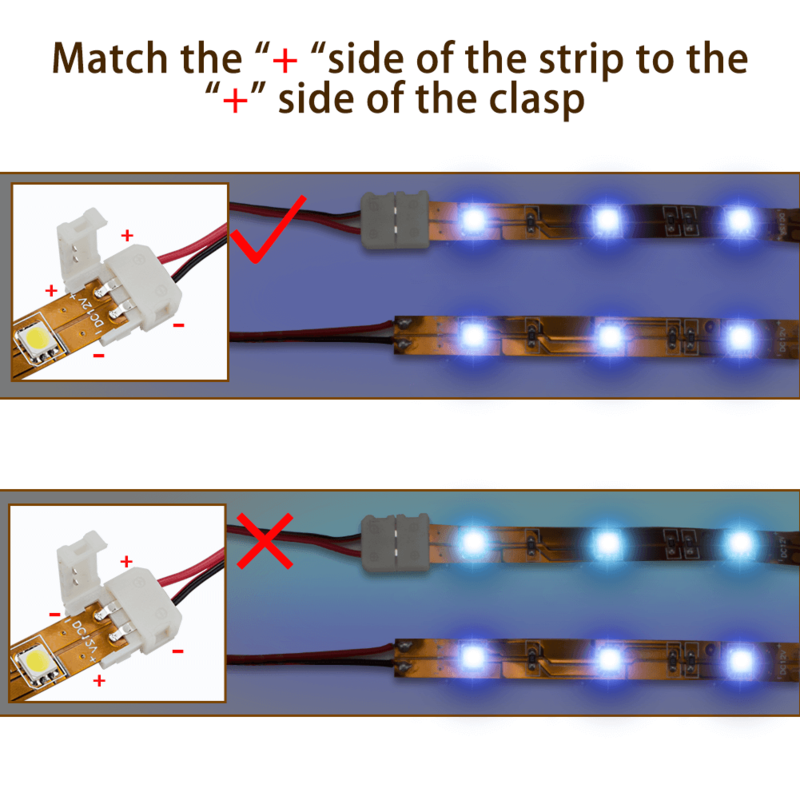 For LED Light Strip connection using, without a line connector. 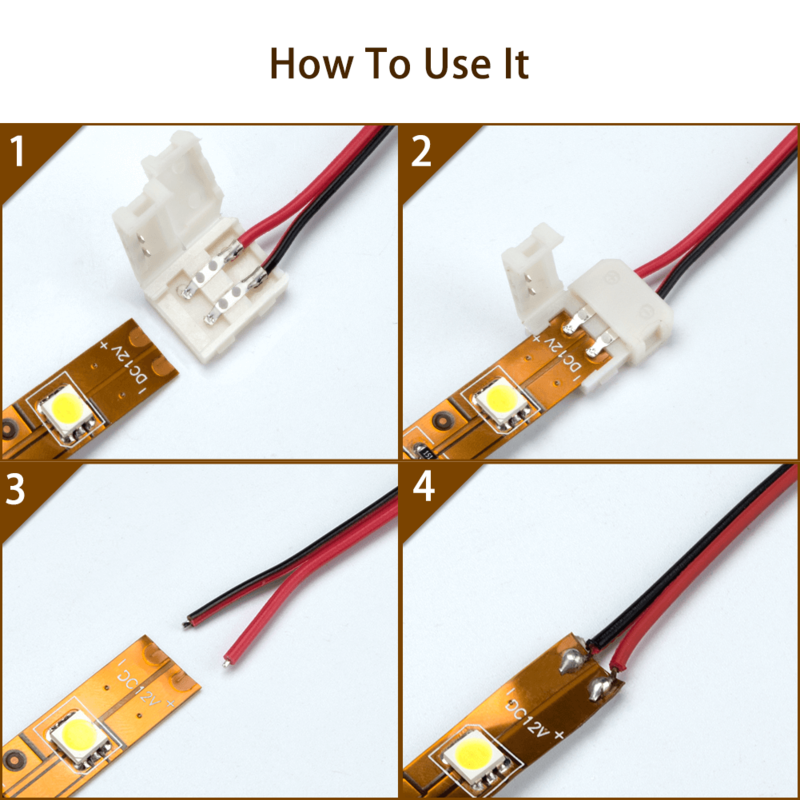 1.If you have a waterproof LED strip, should peel off silicon on the surface around soldering line area and inserting the strip light into the connector body and you’ll feel the connector grab the ribbon. 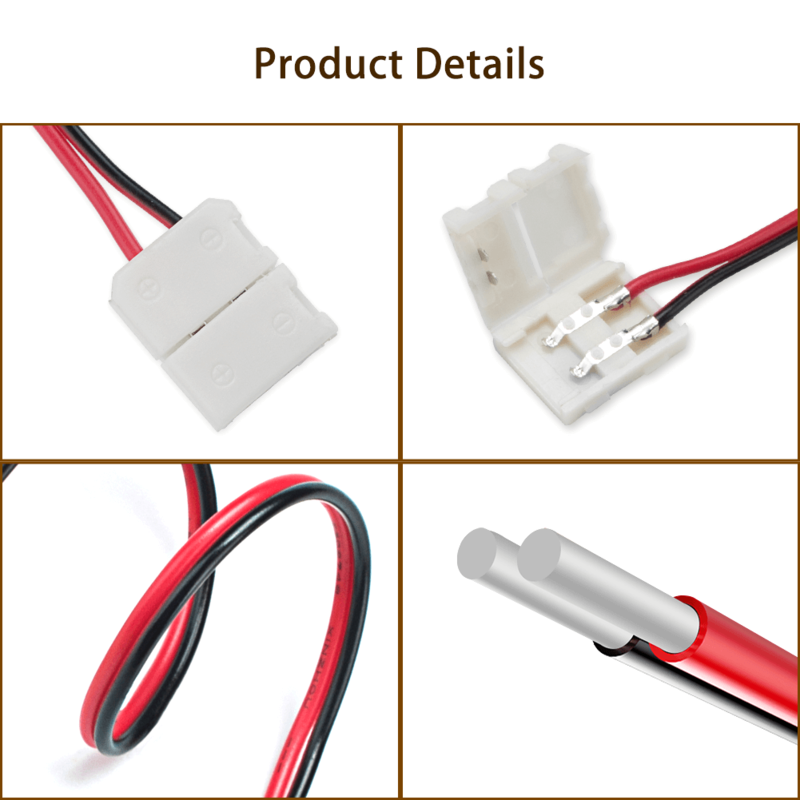 3.This product is used only to conductive connection,want to fixed please to solder.